Tuesday - Sunday 10pm - 4am. Upscale fashionable attire: Not permitted: hats, sandals, sneakers, hard soled shoes and boots, ripped or baggy clothing, men’s shorts, and athletic wear. Collared shirts are required for men. 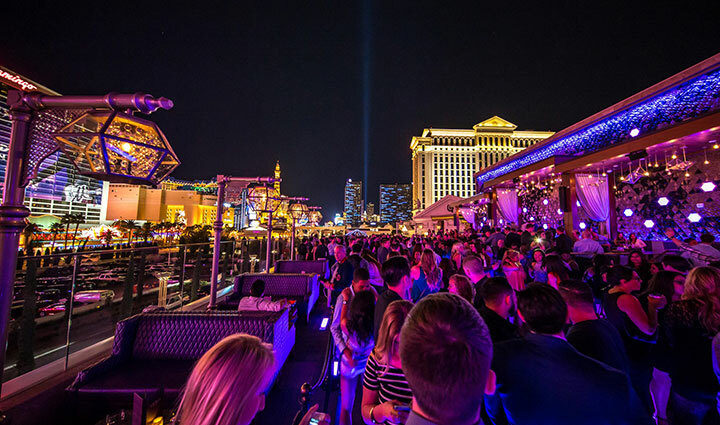 Since its debut in 2015, Omnia has taken Las Vegas by storm. 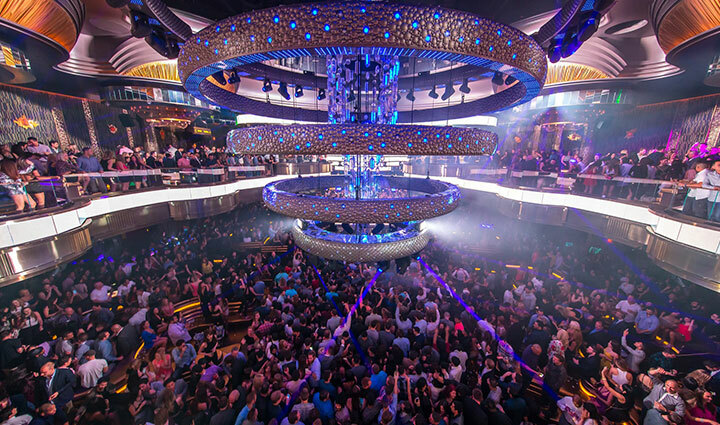 The highly-anticipated nightclub located inside Caesars Hotel & Casino offers party-goers an interactive nightlife experience like no other. 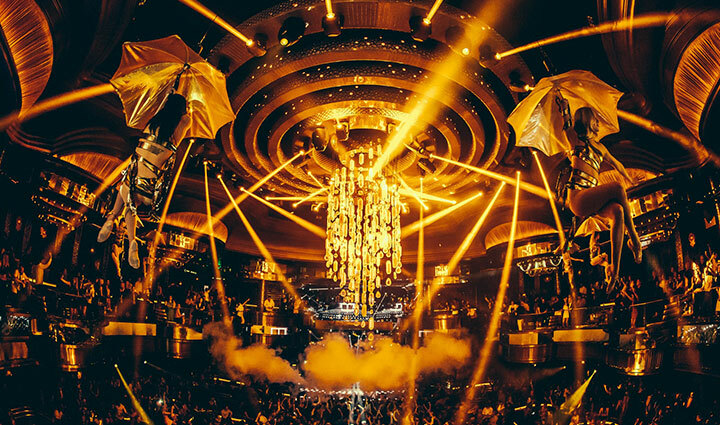 Developed by Hakkasan Group, Omnia offers the very best in DJ talents, entertainment, and of course bottle service. 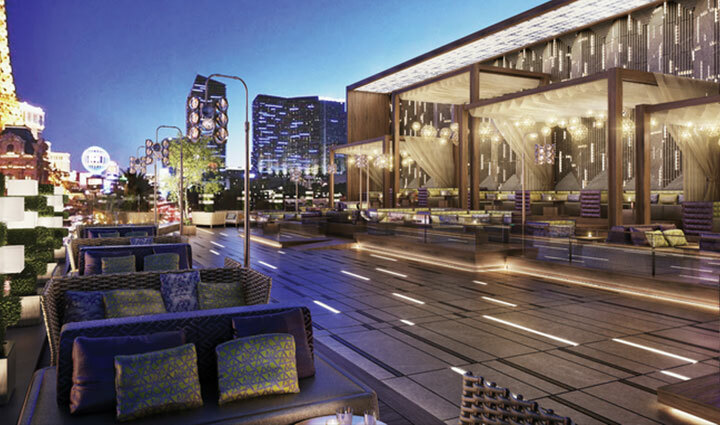 The 75,000 square foot club conveys a sophisticated, laidback ambiance that attracts guests night after night. 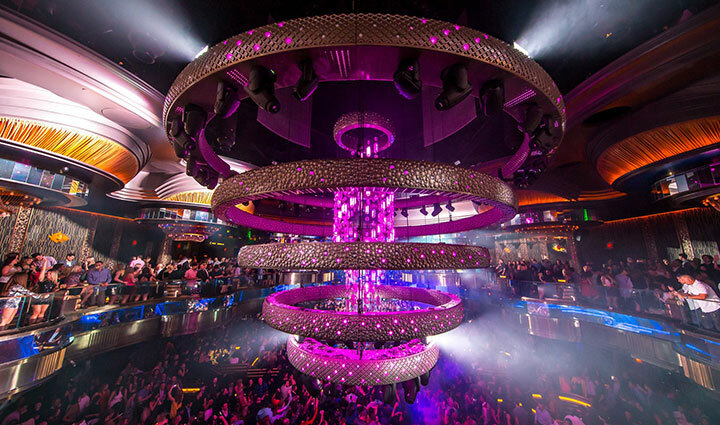 If you’re ready to experience Omnia, you’re going to want to learn their policies regarding bottle service. Here’s what you need to know before you show up to the club. Most nightclubs in Las Vegas charge a hefty cover charge to get in, especially if you’re a male. However, Omnia is fairly reasonable with their cover prices compared to similar big clubs on the Strip. While cover charges may vary from night to night, guys are usually charged $30 to $60 and females $20 to $40. On special event nights, guys can expect to pay upwards of $100. Cover prices may also go up depending on the day of the week, certain holidays, and who is performing that night. 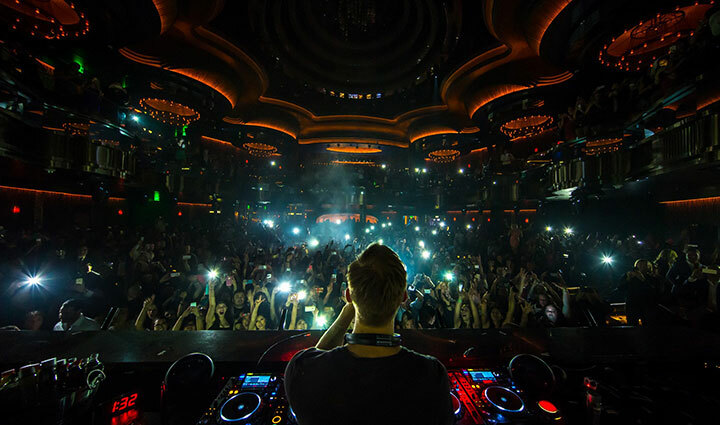 Some of the big-name DJs that perform at Omnia include Calvin Harris, Afrojack, Chuckie, and Armin Van Buuren. Can I Get On a Guest List? 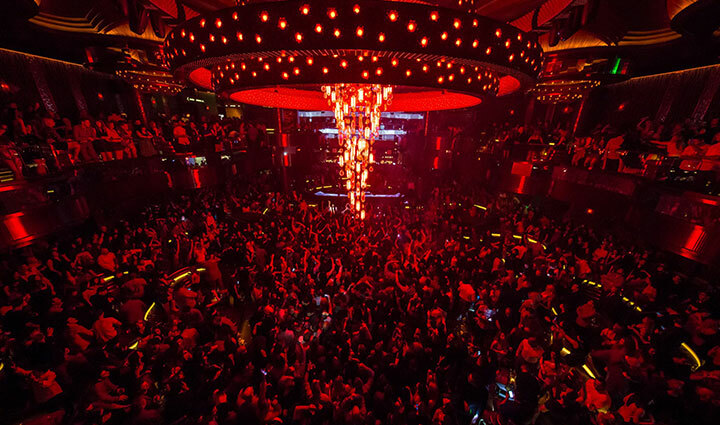 Like many Las Vegas nightclubs, Omnia does maintain a guest list which can vary depending on the time of year. To receive a free guest list entry, you will likely need an even ratio of men to women. On some nights, ladies on the guest list can get in free and men may receive a discount of $10 to $20 off the regular cover price. Remember that if you’re on the guest list, you must check in by midnight and wait in the guest list line. The dress code at Omnia is upscale fashionable attire. The nightclub does not permit hard soled shoes, sneakers, sandals, boots, hats, baggy or ripped clothing, athletic wear, or men’s shorts. Guys are required to wear collared shirts. In general, you don’t need to overdress but you do need to look stylish and sophisticated. How Much Does Table Service Cost? Table service at Omnia can vary in price depending on the night and what talents are performing. On evenings when top-tier DJs like Calvin Harris or Afrojack are performing you can expect to pay upwards of $2k to $15k. On Tuesdays, Thursdays, and Sundays table prices are usually lower. The location of the table will also make a difference in how much you pay. Tables within the Heart of Omnia and on the Terrace usually have lower minimums than tables in the main room. What Is the Best Table at Omnia? If you have cash to spend, you may be wondering what the best table at Omnia is. Many would agree that the best table in the club is the dance floor table. However, tables located on the front balcony can also give you an incredible view of the action while saving you a few bucks. As a general rule of thumb, the closer you are to the DJ and main room, the higher the cost of the table. How Much Do Bottles Run? How many bottles you purchase will depend on how many people are in your group and how fast you drink. Bottle prices at Omnia start around $595 for a standard 1L bottle. You can expect that price to jump to $800 to $900 after taxes and gratuities are added in. In addition to receiving your bottles and table, you’ll be provided with a top-notch waitress and your own security staff to ensure that your evening runs smoothly.